Because they are so important and responsive to the needs of each individual product within each sector, they can be a challenge to design. They may have precise requirements and specific needs to meet the demands of the end-user in a wide range of environments. This makes it all the more important that you partner closely with an experienced quality electronics manufacturing service that knows how to guide you through the design process for a custom cable assembly. For your part, there are a handful of ways to help ensure that your EMS can get the best possible custom cable assembly for your product. The drawings are where it all starts, right? Any steps you take in the creation of your custom cable assembly will all start with the drawings, so it’s vital that they are thorough and readable. It might go without saying, but when you meet with your electronic manufacturing service, you’ll want to have full-scale drawings in a format that they are likely to be able to open. It does little good and often wastes time if your drawings are in an unfamiliar software. From these drawings, your EMS can help you determine if your project is realistic and can begin assisting with cost and time-saving suggestions. This will also be a time to look at ways to improve your manufacturing process or the custom cable assembly itself. The experience of your EMS invaluable to your project at this point. Your experience is also important in this discussion, too! If this is a custom assembly that you’ve had manufactured previously, share what worked in the process and what didn’t. Was the quality what you needed? Did it get completed on time and on budget? Your electronic manufacturing service will be interested to hear your input so they can correct any issues and pinpoint options for improvement. 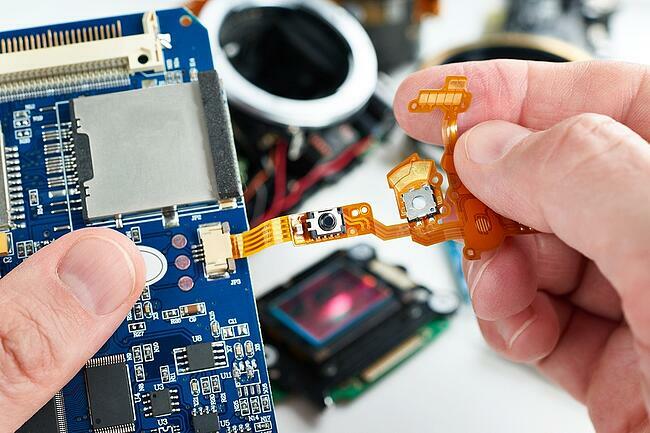 Quality electronic manufacturing services know when a design will not work well during the manufacturing stage. By involving a team of experienced professionals who know what designs are eaiser to work with, you are improving the quality of your assembly by cutting out potential stumbling points before it even gets started. Design for Manufacturing analysis is important for any design to be cost effective, and save time, but it is particularly important with the complicated and intricate nature of custom cable assemblies. There may be more than one part or component that can get the job done in your custom cable assembly. But not every part has the same lead time. In the current landscape where lead times can extend over several months, you’ll want to check with your electronics manufacturing service to get their input on which components are suffering in a parts shortage and which may arrive more quickly. Your EMS can help you source compatible parts that are more likely to be in stock and that will keep your project rolling toward completion. Along with supply chain alternatives, it’s a good practice to consider less familiar manufacturers for the products that you need for your custom cable assembly. We all know the most popular brands for wire, cable, and tubing. But it’s important to remember they aren’t the only ones out there with quality products, and like in nearly all industries, brand recognition comes with a premium cost for the product. This is another consideration to discuss with your electronics manufacturing service as they have broad experience with designing and building custom cable assemblies and all the possible components that go into them. Get their input before you finalize your design and don’t write off those lesser-known brands unless it’s really necessary. Most electronic manufacturing services have a range of tooling offerings, but in this specialized world of custom cable assemblies, it would be nearly impossible for one EMS to have them all. As you’re considering components, talk with your EMS about which components match their tooling options. If they aren’t tooled for the component you had in mind, they can suggest one that will work with their current setup. This keeps your costs for tooling and engineering down and keeps your timeline tight. A final important discussion to have with your electronic manufacturing service is how your custom cable assembly’s components are connected to minimum orders. If your project isn’t large enough to meet minimum order quantities, perhaps your EMS can leverage its buying power to meet the requirement. Or, you may be able to work together to determine other components, or alternative brand components, that will get you what you need with less inventory. Designing a custom cable assembly is not an easy task. At Levison Enterprises, we take some of the challenges out, by taking a custom approach to each assembly we design and build. 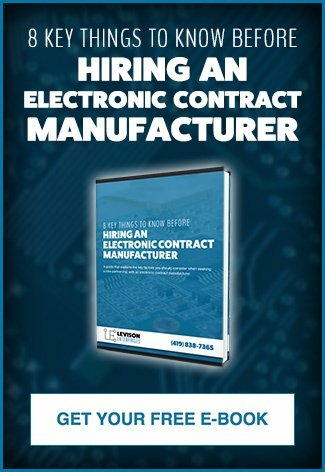 With so many factors to consider, it’s important to have a reliable and high-quality electronic assembly team. Levison Enterprises is ready to answer that call for your next custom assembly. Levison Enterprises offers an experienced and quality-driven team to your custom cable assembly project. We work closely with each of our partners to determine the best path for manufacturing, supply chain, inventory, and tooling. With years of experience in custom cable assembly, we consistently deliver time and cost savings alongside our quality products. Schedule a time to take a look at Levison Enterprises’ custom cable assembly capabilities. Contact Levison Enterprises today to learn tricks to save time and money on your next cable assembly.